When ornithologists use the term “finch”, they are usually referring to birds in the Family Fringillidae. 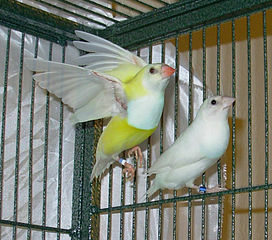 However, the “finches” kept by pet owners are more often of the Family Estrildidae – the waxbills, weavers and sparrows. Today we’ll take a closer look at the Family Fringillidae, the True Finches. The 140+ species of True Finches range across all continents except Antarctica and Australia. The most commonly-kept birds in this family are the Bullfinch and the European Goldfinch. The American Goldfinch, is a close relative and, in captivity, interbreeds with its European cousin. Most True Finches are classified within the Subfamily Carduelinae. They nest solitarily and defend only the area around the nest. Mated pairs forage with others in loose flocks. The Hawaiian Finches (Subfamily Drepanidinae) are unique birds restricted to the Hawaiian Islands. Many are endangered; the Kauai Akialoa may already be extinct. Finches are seed-eaters and raise their young on seeds (regurgitated from the crop) and insects. Linnets, Crossbills, Redpolls and Siskins are unique among birds in raising their young entirely upon seeds. Finch bills show unique modifications to help process seeds. Most have a groove in the palate that holds a single seed in place while the lower jaw crushes it. The tongue assists in peeling the shell. Finch bills may be thin, long, thick, or rounded, depending upon the specific types of seeds that are taken. Such specialization allows several species to co-exist within the same habitat. The beaks of Crossbills do just that – the tips cross each other. This unique adaptation enables them to extract seeds from pine cones. The Crossbill’s unique diet of pine seeds sometimes forces it to breed in mid-winter. In Russia, nests have been found at air temperatures of -2 F… but brooding females can raise the temperature within the nest to 100 F! Unlike most birds, finches that raise their young on seeds visit the nest infrequently – only 1-2 times each hour. 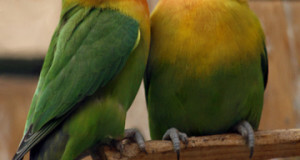 An in-flight breeding song is utilized by the males of many species. Breeding is timed to food availability. Insect-eating specialists such as the Chaffinch usually have a short nesting season; those that take a variety of seeds, such as the European Goldfinch, may breed throughout the spring and summer. While most birds migrate at specific times and to specific places, many finches change the timing and destinations of their migrations in accordance with food availability. This is most likely the result of unpredictable food supplies – the plants they rely upon do not produce seeds at the same time each year. The Hawaiian Finches, or Hawaiian Honeycreepers, are an amazing group of approximately 30 species. Much like Darwin’s famous Galapagos Island Finches, they are thought to have all evolved from a single species that crossed nearly 2,000 miles of ocean to reach the islands. Hawaiian Finches exploit habitats ranging from coral islands to cloud forests. Various species specialize upon nectar, snails, seabird eggs and wood-boring beetle larvae. The often brilliantly-colored Hawaiian Finches sport an array of unique beaks. Most unusual is that of the Akiapolaau. It holds the thin upper bill out of the way while chipping at decaying wood with the thick lower bill. 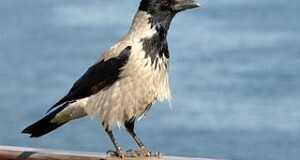 The upper bill is then used to probe the wood chips for insects. Please see Keeping the Bullfinch for finch husbandry info. Footage of a beautiful Hawaiian Honeycreeper is posted here. 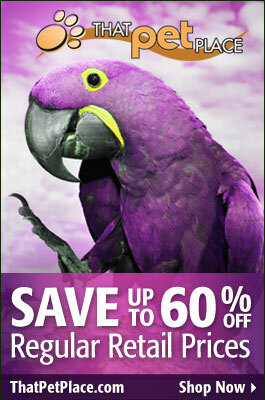 I did not know that most of the pet finches like society finches and zebra finches are more like sparrows. It makes sense by the fact that true finches nest by themselves, which is the exact opposite of society finches. Society finches love bundling up, sharing songs, and so much more. It seems as if both types of finches (pet and wild) share feather coloring, with a wide color display.